Already playlisted by 1Xtra, the single features vocals from South London rapper and singer DOCTOR who has worked with some of the top tier of international dance producers such as DJ Chuckie, Gregor Salto, Chase & Status and Plastician. The track’s classic Jungle/D&B sound won strong support from 1Xtra’s MistaJam. An early champion of the track, he made “Rudeboy” his Jam Hot record of the week (w/c November 4th). DJ Friction gave the single its debut play as the ‘Friction Fire’ on his show on Radio 1. Another early supporter was chart star Example who declared his love for the track on Twitter. Posted on leading DnB channel UKF, the official video – a gritty, hard-hitting dramatization of everyday heroics – has already had over 100 thousand views. 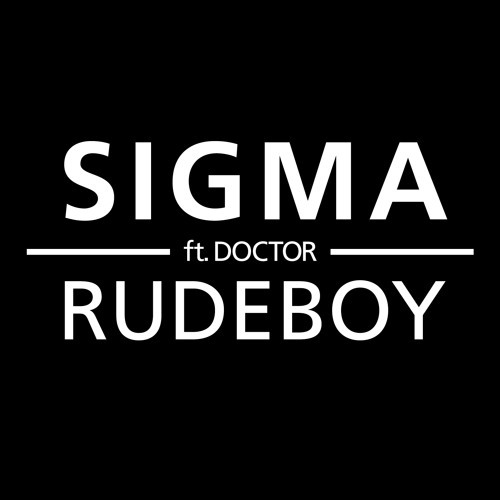 “Rudeboy” follows on from “Summer Calling”, Sigma’s first release with 3 Beat and the track that propelled them into the spotlight. “Summer Calling” spent two weeks at Number 1 on the Music Week Urban Club Chart and reached number 5 in the Beatport chart. It’s had close to 229,000 views on UKF and has racked up another 127,000 views on Liquicity. An integral part of the DnB scene, Sigma (aka Cameron Edwards and Joe Lenzie) have rapidly been gaining a reputation for their eclectic style of dance floor beats. Their track “All Blue” is the most downloaded song of all time on drum and bass arena. They’ve collaborated with artists such as DJ Fresh, Rusko and remixed Stylo G, Ellie Goulding, Eric Prydz, Groove Armada, Skepta and Sway.